At Lakeshore Veins, we are asked what causes varicose veins daily. First we need to understand the difference between Veins and Arteries. 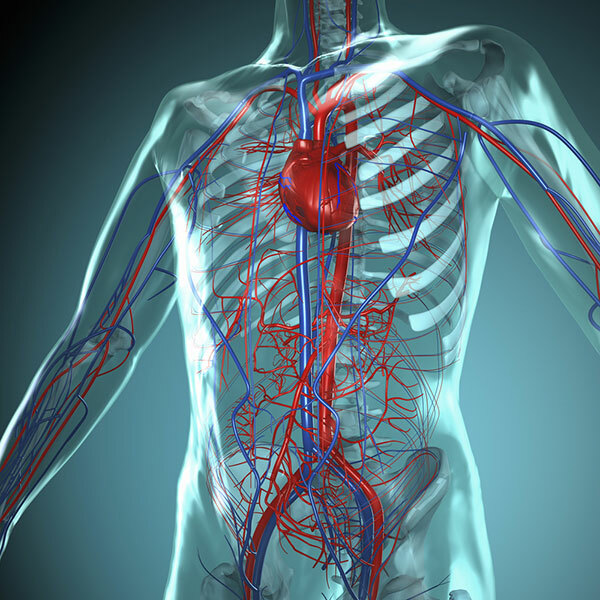 The arteries carry the oxygenated blood away from the heart and deliver oxygen to our tissues. The veins are a less glamorous group of vessels which carries the used up, deoxygenated blood back to our heart and lungs. The veins are not really paid attention to unless there is a problem. One of the vein problems which occurs is varicose veins. Your veins have one way valves. When the calf muscles are contracted, they squeeze the vein pushing the blood back to your heart. 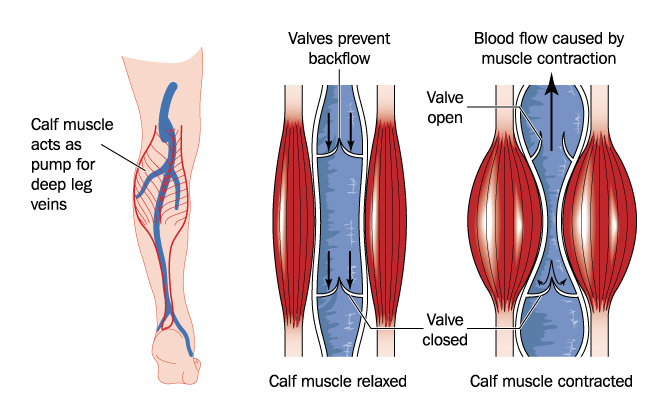 When the muscles are relaxed, the valves close, preventing backward flow. These valves can fail. The failure of these valves can be caused by genetics, increasing age, pregnancy, lack of exercise and increasing weight. When these valves fail, there is a back up of blood in the veins causing increasing pressure in the veins. When the veins, which have a thin wall, are exposed to increasing pressure, they enlarge to accommodate the added volume of blood. The varicose veins can become very large and unsightly. The varicose veins are not only a cosmetic problem as over time this increased pressure can lead to pain, itching, skin discoloration and even skin ulceration. You do have 2 sets of veins, deep and superficial, which carry the blood back to the heart. Typically it is the superficial veins in which the valves fail causing the varicose veins and the deep veins have normal valve function. The blood from the varicose veins is eventually routed back to the heart through the normal deep veins. The parallel set of veins allows physicians to treat the varicose veins and still have normal venous return to the heart. You can find more information about varicose veins on our website. If you have questions or concerns about your veins call Dr. Anne Bartel at Lakeshore Veins and schedule an appointment. Our number is (262) 241-3999.